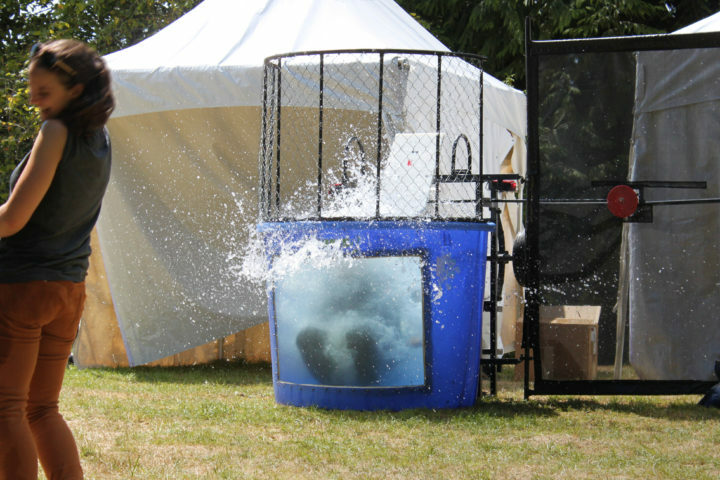 The Aqua Blaster is this century’s version of the dunk tank rental. 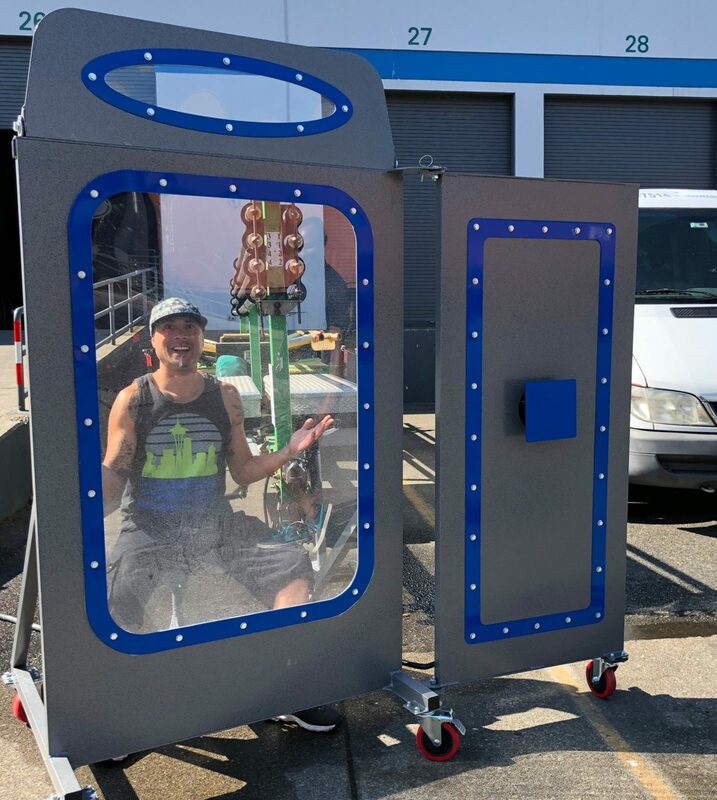 Complete with loud noises, throwing balls, and a pressurized water chamber, get the effect of a traditional dunking experience and so much more. This water activity is a great alternative for school and corporations with strict risk management groups. By removing the ability to fall, and eliminating a large tub of standing water, there is no risk of injury to the participating player. 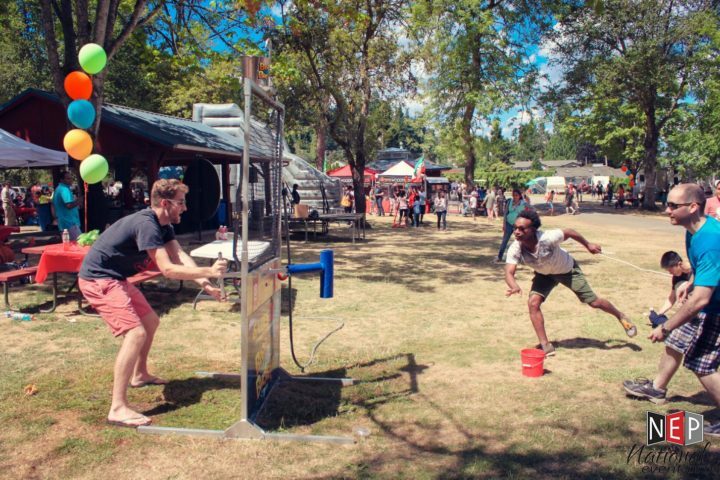 Guests will stand a designated distance from the Aqua Blaster unit, and attempt to throw the ball at the red and white target. The target, while in front of the participant, is surrounded by a strong plexi-glass to prevent them from getting hit. When the target is struck by the ball, the device is triggered to release a large amount of pressurized air into a waiting water tube. The water is forced at high velocities into the face and body of the person, effectively soaking them in a split second. Gather the attention of passing event attendees to help boost fund raising activities.